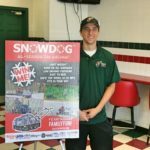 Snowdog & Sled Giveaway Online Registration is Now Open! Marquette, MI – August 13, 2018 – The slips are piling up. 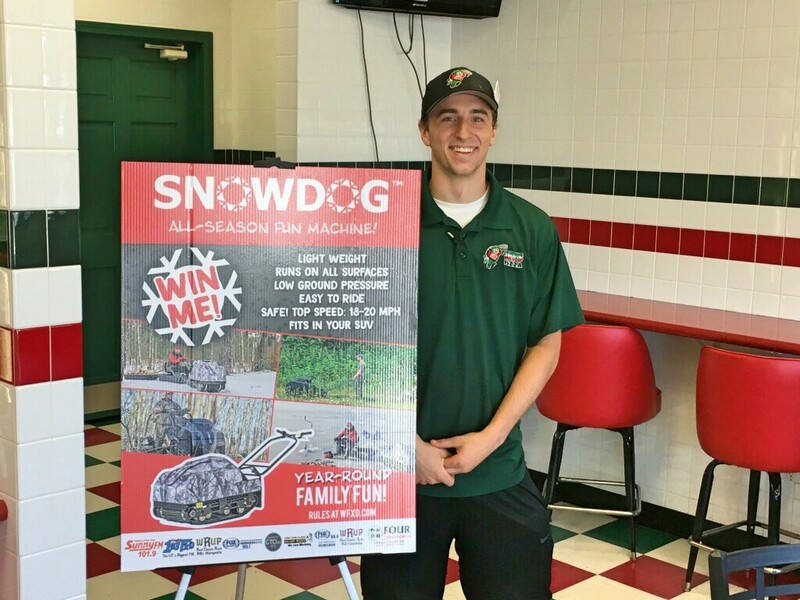 Is your name in the running to win our Snowdog & Sled from Four Seasons Small Engine? Bucket locations have been out for a few weeks, now it’s time to open online registration! You can register to win right from the convenience of your home. 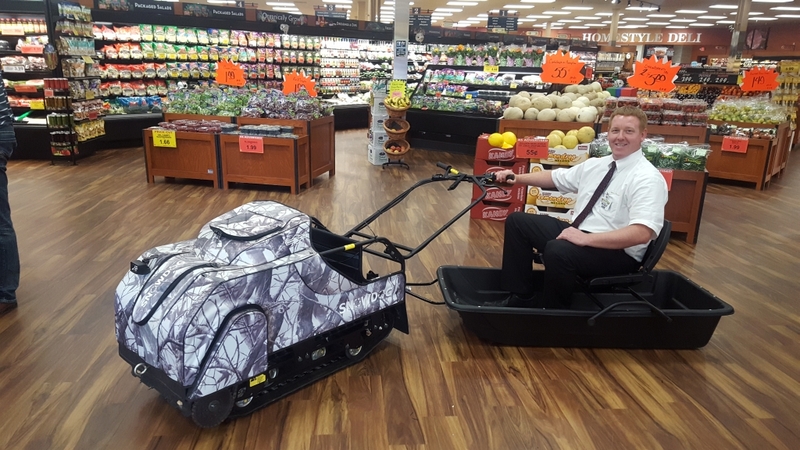 This all-season fun machine is perfect for any ice-fishing, wood gathering, deer huntin’ Yooper! 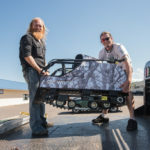 It fits in the back of most SUVs and can haul you and two friends across an ice covered lake. Pick up your smartphone and register to win this $3,500 value. 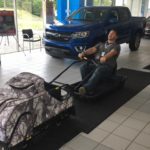 We’ll be giving it away at our usual location, River Rock Lanes and Banquet Center, on Thursday, September 27th, but we’re changing it up a bit too. Our next party will be hosted outside in the River Rocks Parking lot to enjoy the last of summer before heading into fall! 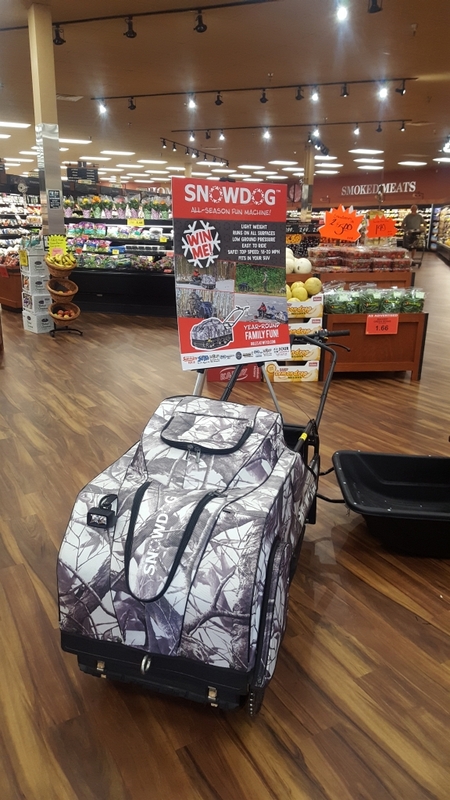 After its debut at Frei Chevrolet, the Snowdog & Sled is now sitting at Super One Foods in Marquette. 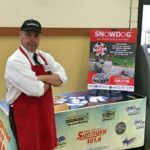 So, if you do want to see your future Snowdog in person, drop by Super One Food to shop the low prices and see the grand prize while you’re there! 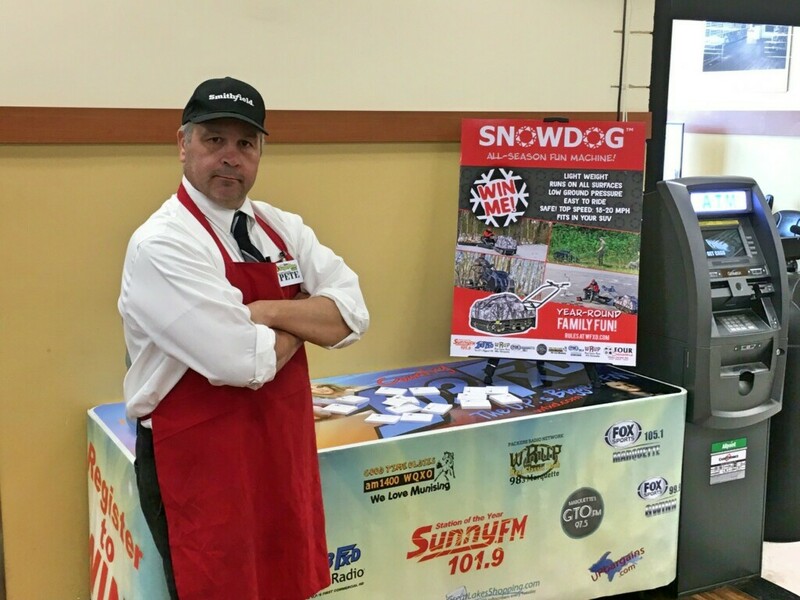 Stop by Super One Foods to register for your chance to win a Snowdog. Thanks Pete! 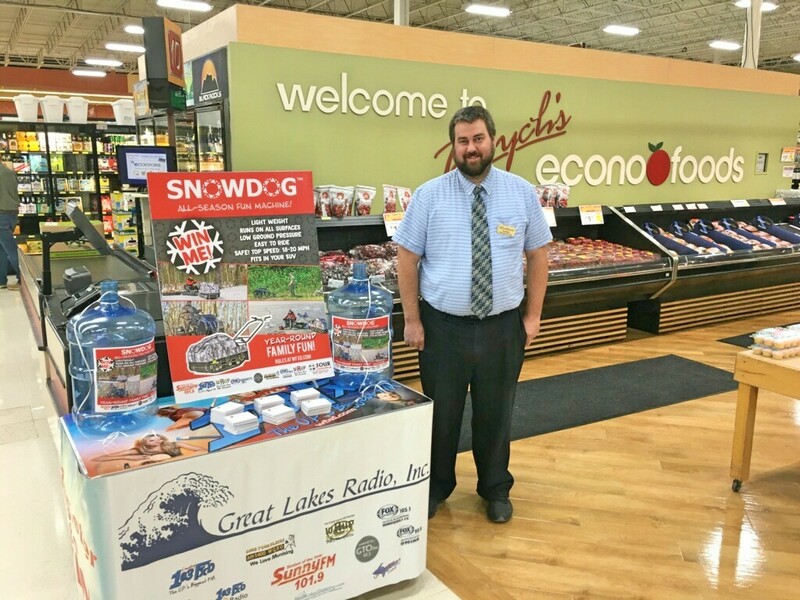 Andrew from Tadych's Econo Foods in Marquette next to the Snowdog registration table. 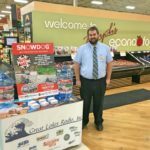 Mike modeling our grand prize at Super One Foods Marquette. See it in person, register form home or right on site at the bucket table! Jet's Pizza in Marquette is also a bucket location. 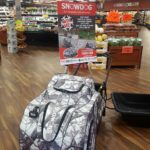 One Response to Snowdog & Sled Giveaway Online Registration is Now Open! 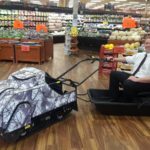 My husband and I saw the Snow Dog and Sled today at Great Lakes Foods. We had bought a home in Marquette, MI when our soon went to NMU. Now we are retiring and am moving into that home within the next few months. I tried to see the contest rules on your website but keep getting a message that that page couldn’t be found. 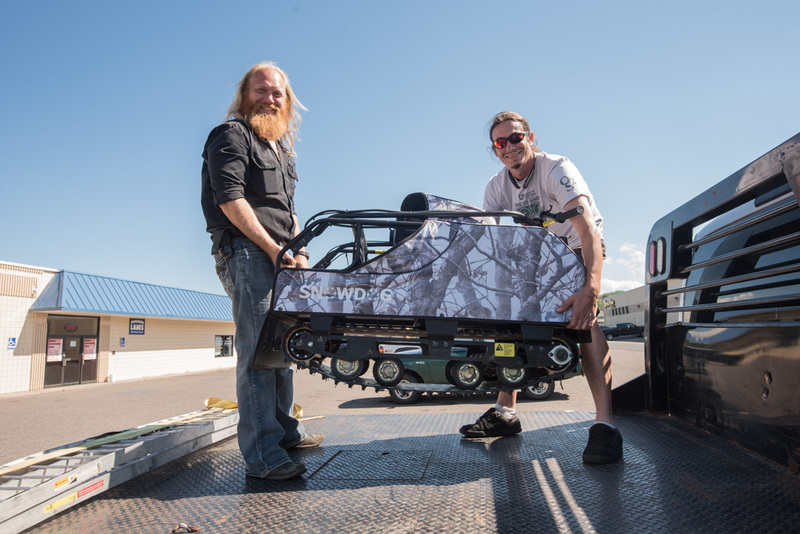 So, although we are not yet officially registered YOOPERS, I would like to submit our entry if we are indeed eligible. 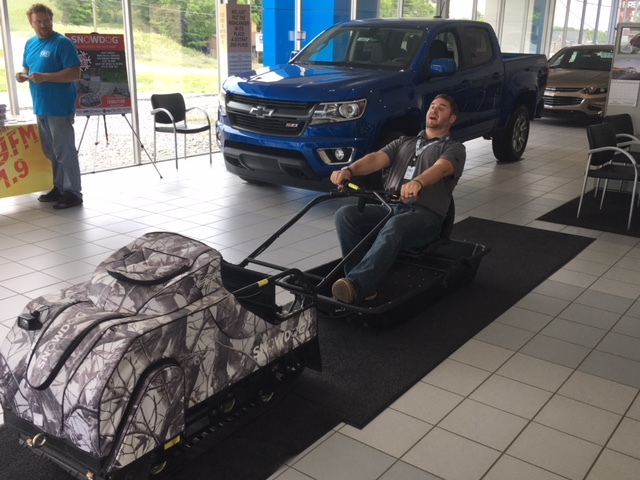 I can picture it now…my husband at the wheel, pulling me in the sled with our ice fishing gear, while listening to WFXD with my headphones.Pure Michigan=Heaven on Earth.